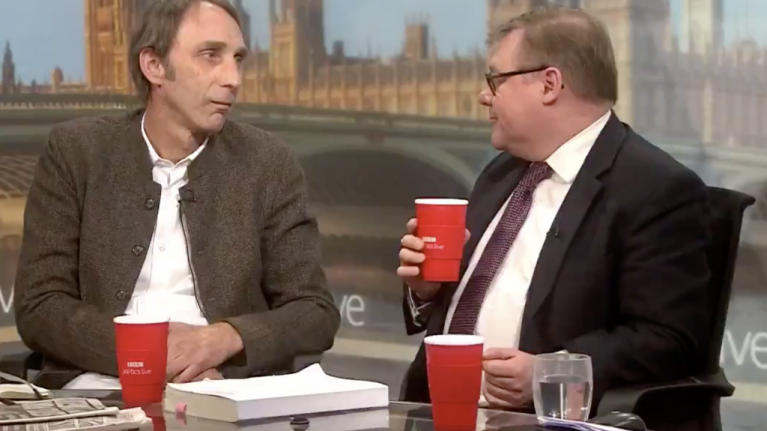 A bad tempered on-air exchange between author Will Self and Conservative MP Mark Francois ended with a hilarious (and quite terrifying) stare-down on Friday. 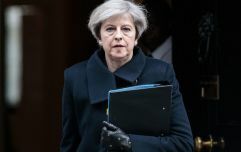 The pair had been appearing on the BBC's Politics Live show and had become involved in a heated exchange about Brexit after Francois had misunderstood a comment made by Self, where he claimed every racist and anti-Semite in the country "probably voted for Brexit". Describing it as "outrageous" and "a slur" on the 17.4m who voted in favour of Brexit during the 2016 European Referendum, Francois demanded Self apologise. "Are you saying that 17.4 million people are racist and bigots because they voted to leave the European Union?" Francois then asked. Despite Self's attempts to explain himself, Francois continued to ask for an apology on the grounds that he had "basically tried to slur anyone who voted leave as a bigot." "To who? Racists and anti-Semites?" Self replied. Despite the attempts of presenter Jo Coburn to move the discussion over to the other side of the panel, the two men continued to row until, eventually, it ended with the two men staring at each other in silence for a tense few seconds.